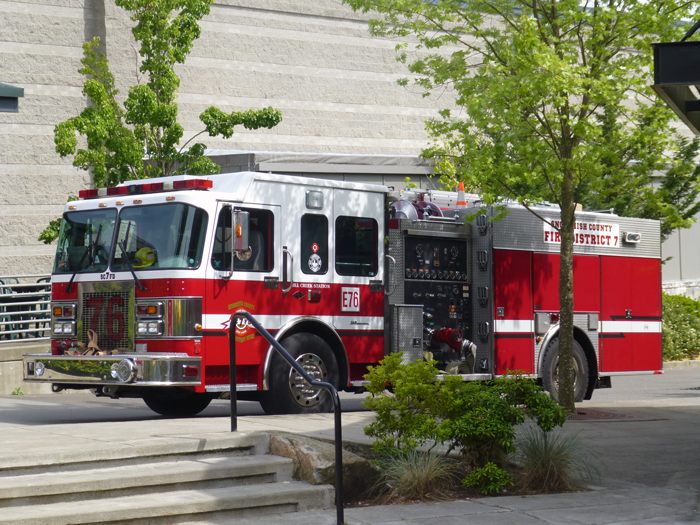 Snohomish County Fire District 7 responded to 240 calls from October 27th to November 4th, 2018, with 51 of the calls being in Mill Creek. Fire District 7 was dispatched at 2:14 am to a report of a single car into a pole at the 19800 block of Broadway Avenue between Clearview and Maltby. Crews arrived to find one occupant in the vehicle which was in a ditch. Firefighters were able to remove the patient from the vehicle and provide basic life support care. The patient was transported to a local hospital by aid unit. Crews were dispatched to a head-on motor vehicle collision the intersection of SR 2 and Fern Bluff Road between Monroe and Sultan at 4:56 pm with reports of four patients. Crews arrived and found that all four patients had self-extricated from the vehicles. Three patients were on the ground being cared for by bystanders while the fourth was in the bed of a truck. One patient was treated and transported to Evergreen Health – Monroe with minor injuries, while the remaining three patients were transported to Providence Medical Center with more severe injuries. Sultan Fire Department responded to assist with patient care and scene safety. At 3:19 pm, firefighters were dispatched to report of a residential structure fire at the 14200 block of 41st Drive SE in Mill Creek. Crews arrived and found fire on the exterior of the two-story house. They were able to quickly contain and extinguish the fire and kept it from spreading to the interior of the home. No one was home at the time of the fire. A neighbor had called 911 to report the fire. Snohomish County Fire Marshal is investigating the cause of the fire. At 9:00 pm, crews were dispatched to a report of a low speed, rear-end motor vehicle collision at the intersection of 132nd Street SE and 19th Ave SE in Mill Creek. While crews were in route to the scene, the incident was upgraded to a medic response due to one patient being in active labor. Upon arrival Medic 76 started patient care while Engine 76 secured the scene and controlled leaking fluids. The patient in active labor was transported code to Providence Medical Center. All other occupants were uninjured. With daylight savings was this last weekend did you remember to check your smoke alarms when you changed your clocks? The National Fire Protection Association reports that three of every five home fire deaths resulted from fires in homes with no smoke alarms or no working smoke alarms. In fires that had smoke alarms present but did not operate, almost half of the alarms had missing or disconnected batteries. Partner with Fire District 7 in protecting you and your family by making sure you have properly working smoke alarms in your home. It is also recommended to replace your smoke alarms every 10 years. For more information on smoke alarms visit http://www.nfpa.org/smokealarms.